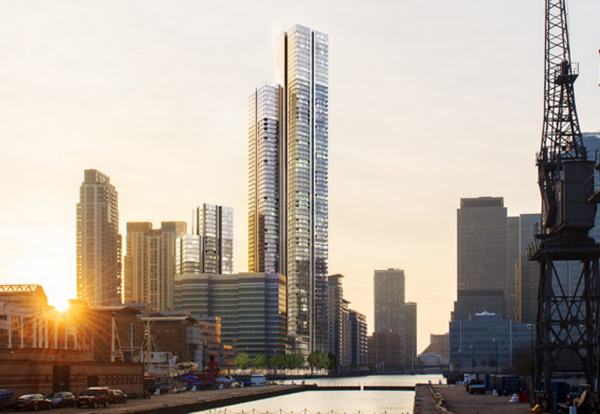 Berkeley Group has gained planning for what will be the UK’s tallest residential building at a site in London Docklands. 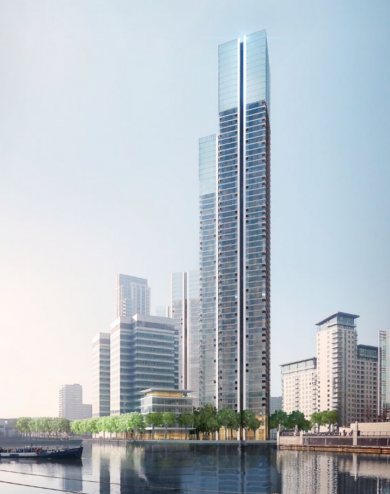 The scheme will involve the demolition of a 1980s block on the South Quay Plaza site on the Isle of Dogs to build a 68-storey and 36-storey building. Contractors Brookfield Multiplex and Laing O’Rourke are bidding to build the tower for Berkeley Homes. 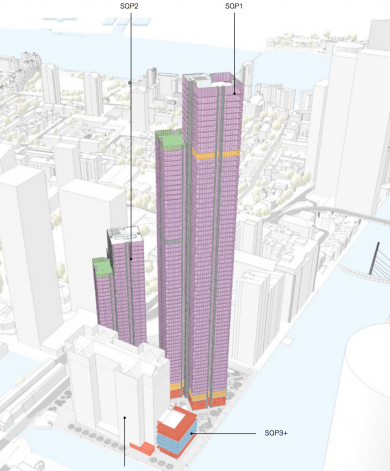 The proposals, designed by architects Foster + Partners, have been dropped in height from the originally proposed 73 floors, which would have reached almost the height of One Canada Square. London Mayor Boris Johnson wrote to Tower Hamlets late last month indicating he would not call in the scheme allowing final approval to be given. The slender main tower will have a floor plate of two intersected squares, which maximises the views of London for each of the luxury flats. One part will rise to 68-storeys and a height of 220m and the other to 56 floors and be topped by a sky garden. This will be built in phase one with the smaller twin building pushed into a second construction phase. In total, 888 homes are planned in all, including 188 affordable properties. Demolition contractors will clear the site at 183-189 Marsh Wall with construction expected to start in July next year running for nearly five years across the multi-phase site. Work on phase two will start in April 2018. 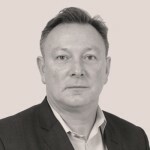 In total, the buildings will require around 65,000 cu m of concrete and 60,000 sq m of cladding. The structural and M&E engineer on the job is WSP.